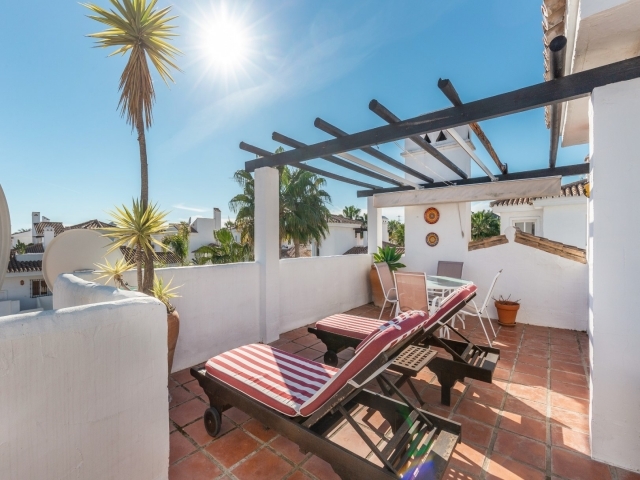 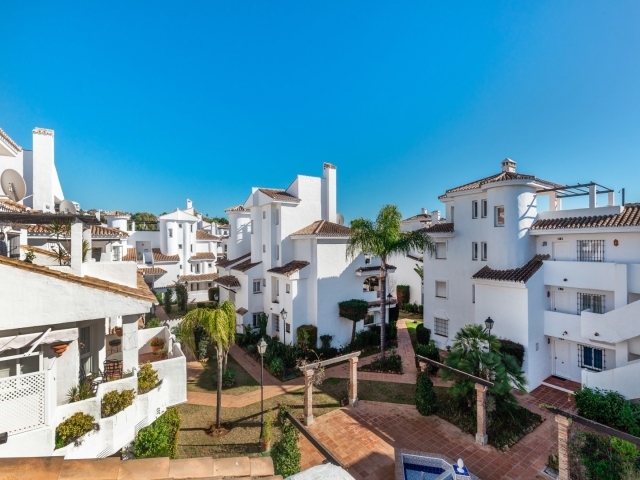 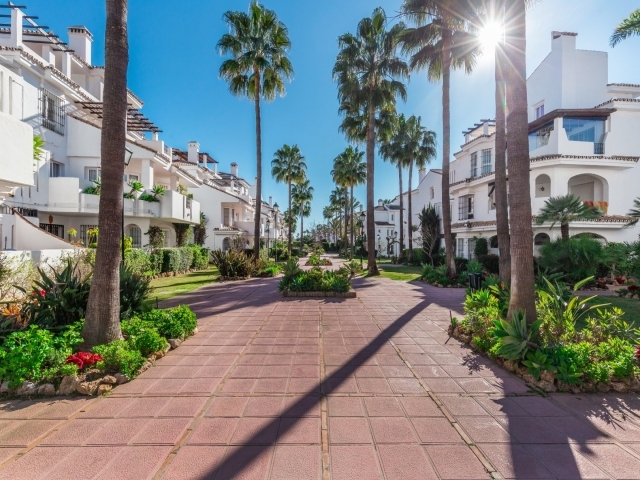 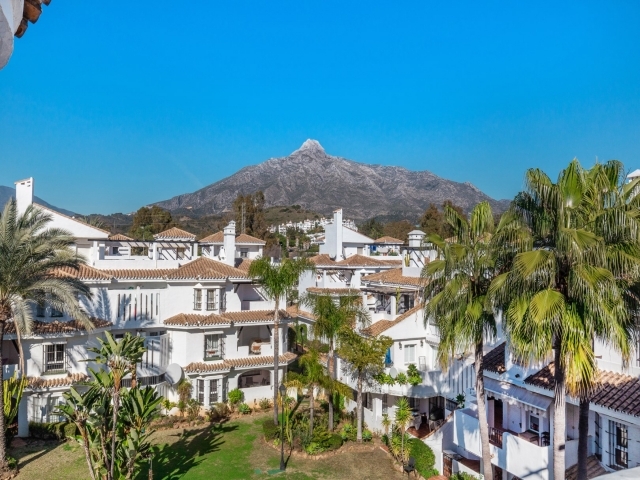 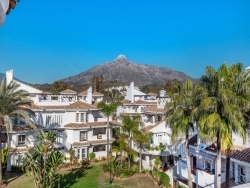 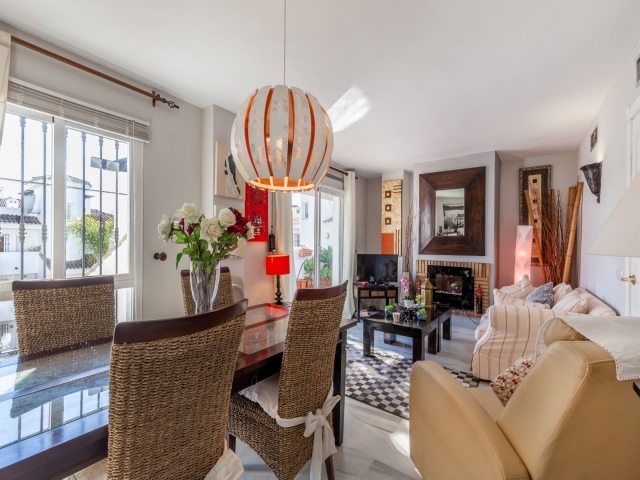 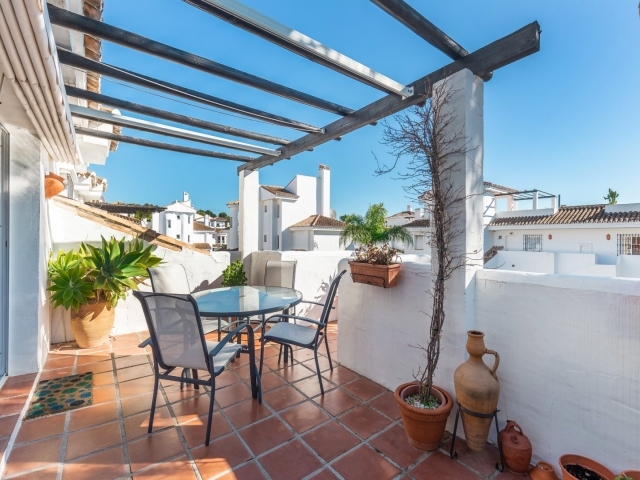 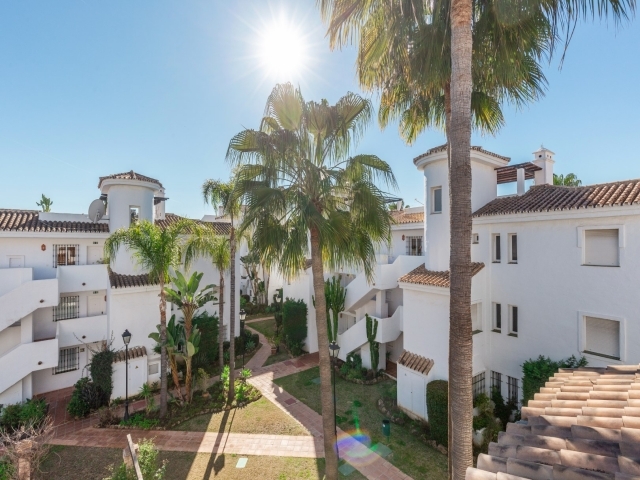 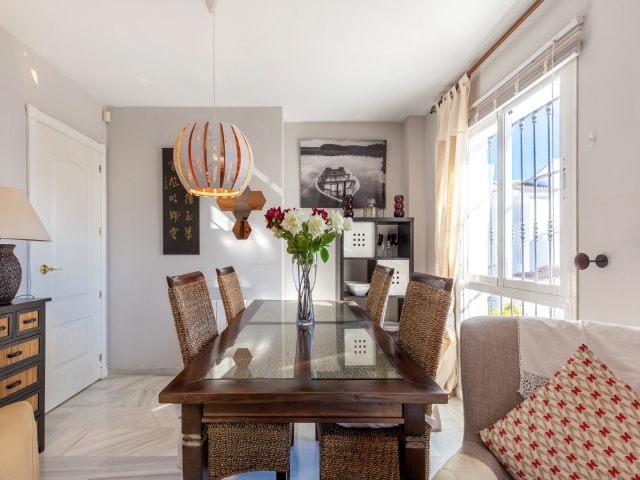 Lovely and bright 2 bedroom south facing penthouse for sale in Los Naranjos de Marbella. 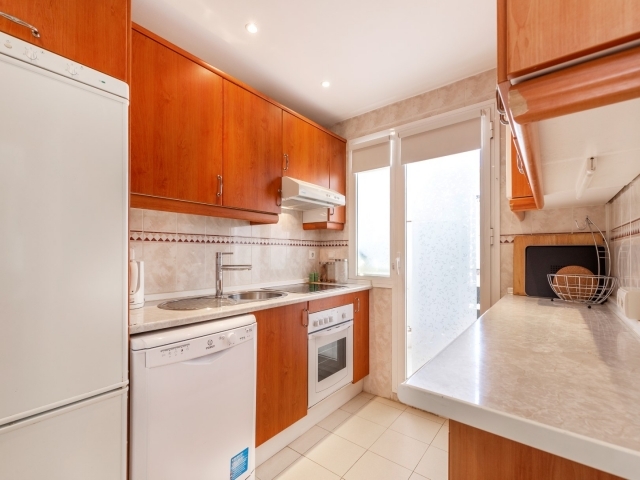 Fully fitted kitchen, 2 bedrooms and 2 bathrooms. 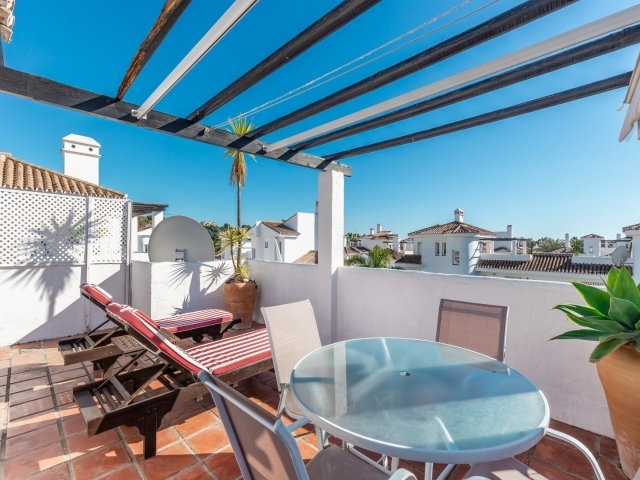 Excellent urbanisation with several community pools and also walking distance to all amenities including the beach. 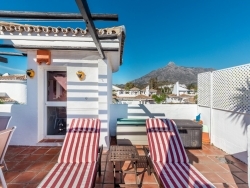 The apartment overlooks La Concha mountain and the pool area of the urbanization and has a very homely feel. 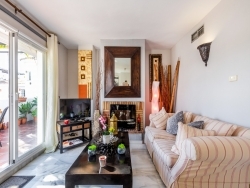 Combined living-dining room with open fireplace leading on to a nice terrace. 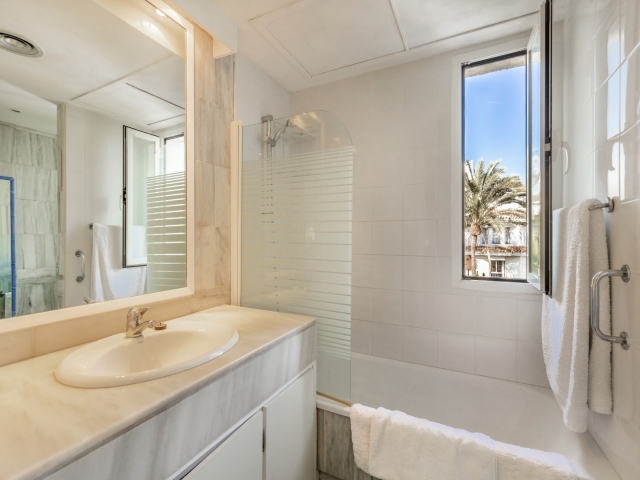 Master suite with large terrace to enjoy the sun all day long. 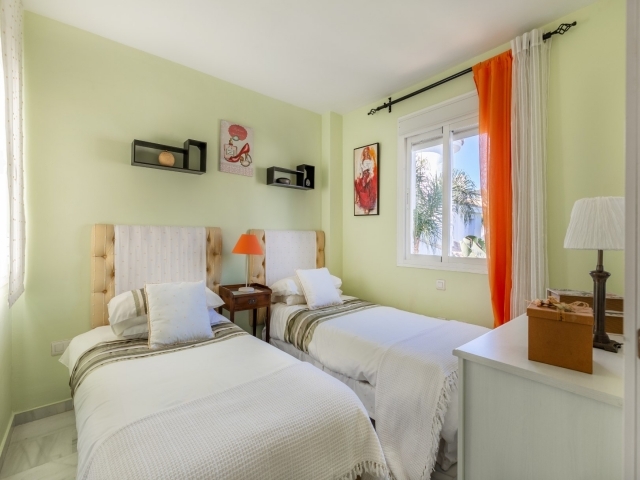 Guest bedroom with en-suite bathroom.